Ditto’s Wizard101 Costume Confusion Contest! So it is contest time again, and it’s also Ditto’s favorite time of year – Halloween is a favorite for most monsters that I know, it’s the best! To celebrate, Ditto wants to help the Wizard101 teachers find their costumes – and I need your help!! What should Professor Falmea dress as? Remember – it can’t be flammable! How should Moolinda Wu dress up? Would Professor Drake dress as something scary, or funny? What do you think? Send me an email at dittocontest@gmail.com with the subject ‘Costume Confusion‘ and tell me which professor you chose and what their costume will be – you can play it simple and say ‘Vampire’ or you can be as detailed as you like – even draw me a picture if you like! I want everyone to have fun with it!! The contest starts today and runs through Midnight EST on Saturday, October 26th, with the winners being announced on Sunday, October 27th. I will be choosing the winners randomly and posting them to the website. Nightmare Pack – Winners of this will receive a code for ONE standard Nightmare Pack. As always, each code can only be used once and each account can only redeem a maximum of three codes from this pack promotion. Please, only one entry per person to keep it fair, good luck, and have fun!! This entry was posted on October 6, 2013 by dittowizard. 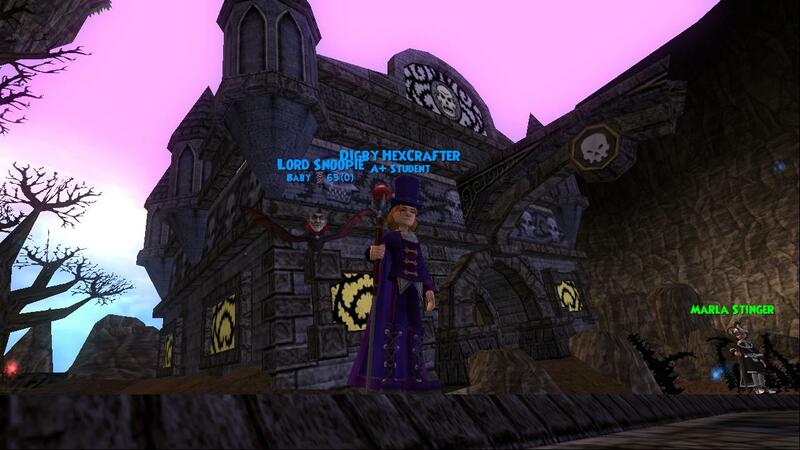 It was filed under Contest, Wizard 101 .